Jürgen Klopp is spoilt for choice at right-back following Nathaniel Clyne's return to full fitness, but Trent Alexander-Arnold has insisted he welcomes the extra competition for his place. With Clyne having been out of action since pre-season due to a back injury, Alexander-Arnold has alternated with Joe Gomez in taking up a place on the right-hand side of Liverpool's back four. Klopp will have three players capable of featuring in the position available for selection across the remainder of the campaign, but the Reds' No.66 isn't concerned by the potential threat to his prospects. "I think that competition for places has to be a big part of Liverpool Football Club," he told This Is Anfield. "To have a real squad depth and to know that you need to fight for your position is healthy. If you have 11 positions and 11 players who know they are going to play week in, week out, then they could think: ‘well, look, I don’t really need to try that hard in training anymore. "Whereas if you’ve got two or three players in each position who want to start and who can compete to start in each game, then every single day in training you’ve got people fighting for the spot. "Of course that’s really healthy for the team moving forward because every day we’re making each other better and with that the results get better, the performances get better and we improve as a team, so it’s a really fresh atmosphere at the minute. Healthy competition is always good." Alexander-Arnold has enjoyed a breakthrough season at Anfield in 2017-18, making 20 appearances in all competitions thus far, scoring three goals. Reflecting on his achievements, the Scouser added: "I think that was definitely an objective of mine this season; to feel as if I was a bit more of a member of the team, to try and establish myself a bit more and I think that with the opportunities I’ve been given, I’ve done that. "Again, I can only be thankful to the manager for the chances and the opportunities he’s given me this season to let me go out there and establish myself as a player in the team." 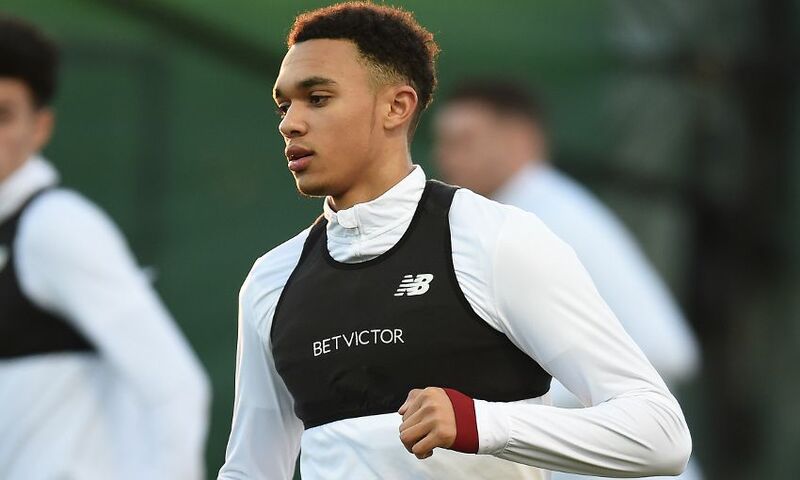 Trent was part of the 25-man squad that recently headed out to Marbella for a four-day warm-weather training camp. The 19-year-old believes such trips are hugely beneficial for team spirit, and revealed he was more than happy with the outcome of the room-share draw. He explained: "The manager really encourages team-bonding and different things to help us become closer and a big thing with the manager was sharing rooms, which not many of the players are used to these days. "That helps you get to know people that you don’t necessarily always speak to on a day-to-day basis and maybe there’s a language barrier that you have to overcome too. It just helps you when you come back to Melwood because you know the person that you shared with a bit more. "It just brings the whole squad together and makes everybody closer and that’s only beneficial for us going forward. "I roomed with Raggy and there are no complaints from me! He was a really good ‘roomy’ and I was happy that I was able to share with him. The process of who shared with who was random. "I think it was just names out of a hat in twos. Me and Raggy know a little bit more about each other now and we definitely became a lot closer than we were."